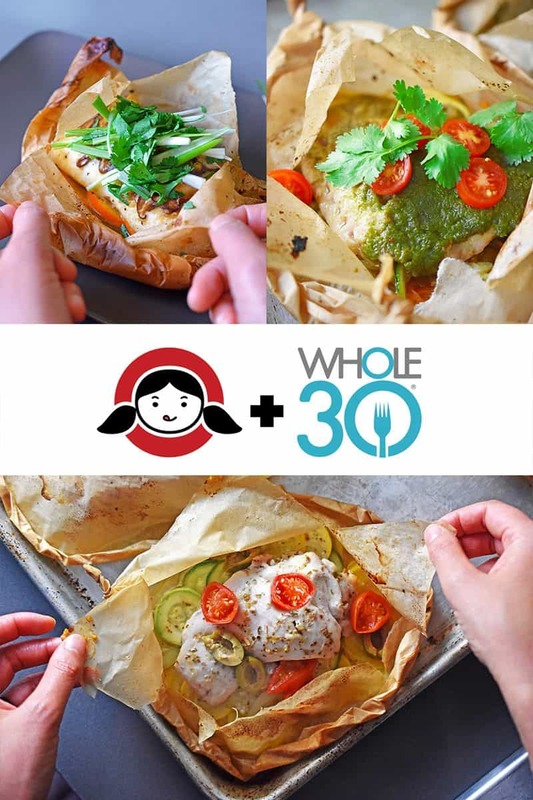 Whole30 Day 25: Parchment Packets! 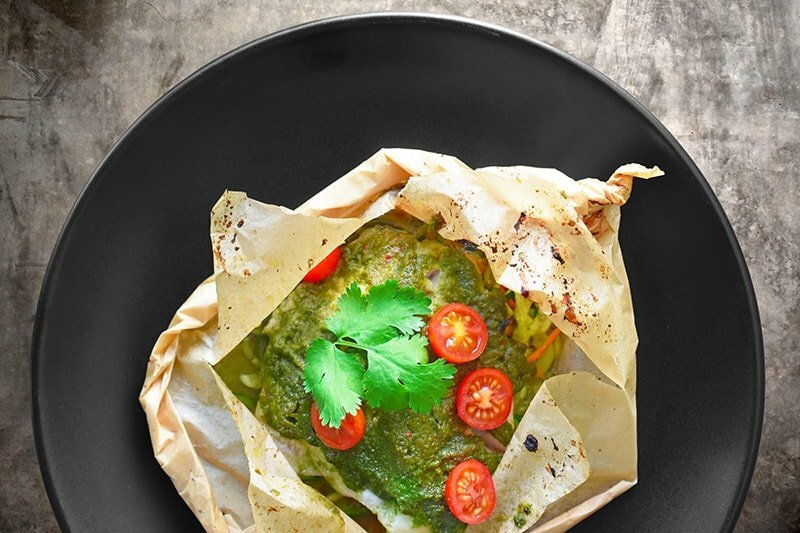 Okay—now that we’ve been practicing cooking all month long, let’s put our skills to the test with these Whole30 parchment packets! By now, your old (bad) food cravings are probably in the rear-view mirror, but you may still have some friends and family who are intentionally or unintentionally sabotaging you by eating or dangling unhealthy food choices in front of you. You can always just turn away…or better yet, teach ’em what a better alternative looks like. 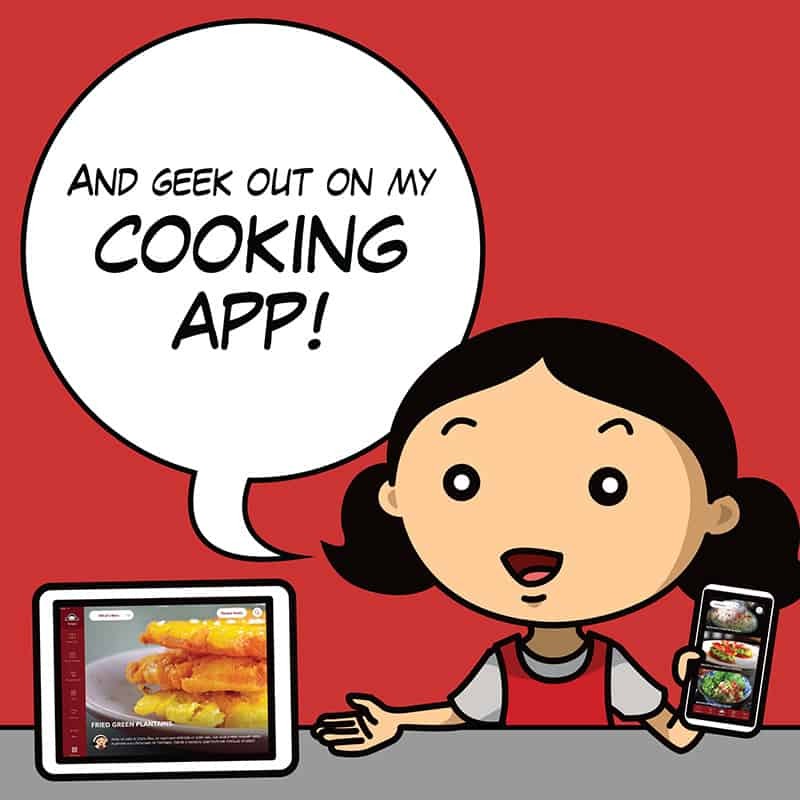 Case in point: If someone’s yammering on and on about the awesomeness of Hot Pockets, show off your ability to quickly whip up these Whole30-friendly parchment packets! You remember the Paper-Wrapped Chicken we made earlier this month, right? 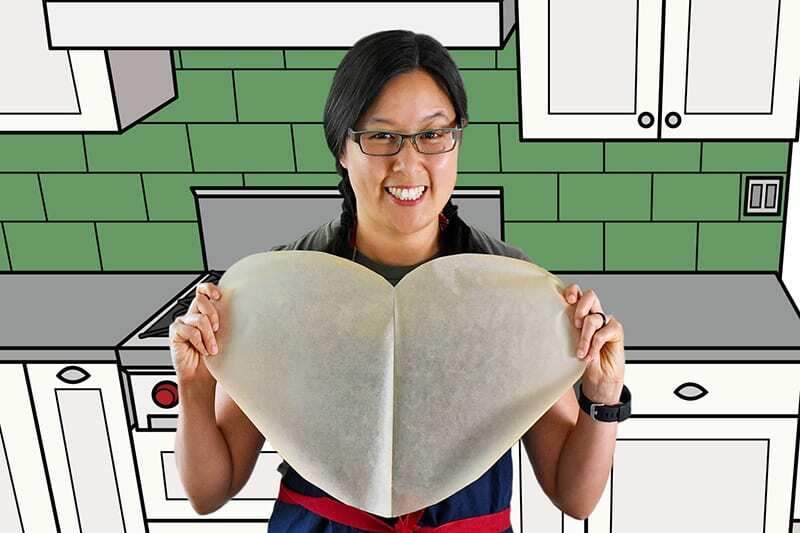 We did some fancy origami work to fold up some fresh veggies and protein inside a heart made of parchment, and then baked it up. Well, the same concept applies to all sorts of parchment packet suppers. I know you’ve been practicing folding up and cooking your food in parchment, right? Well, now it’s time to try making these delicious Whole30 packets, too! 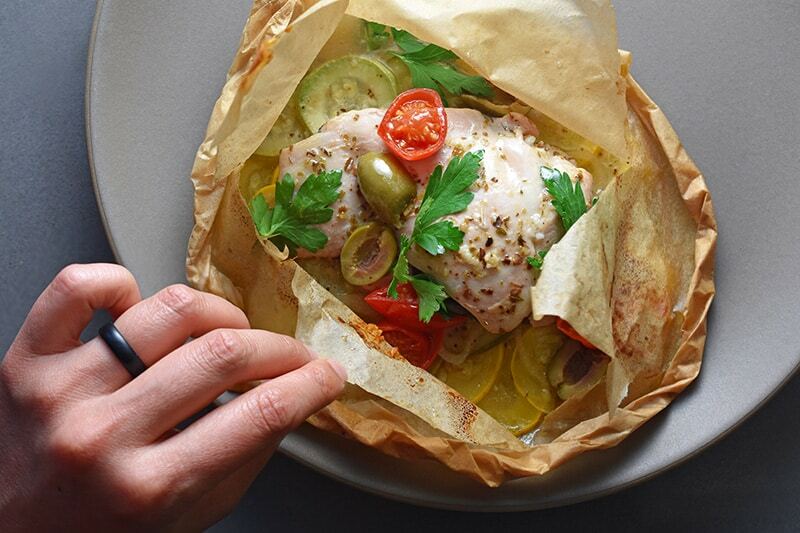 Get the recipe for Lemon Garlic Chicken Parchment Packets here! Get the recipe for Fiona’s Phenomenal Fish Packets here! 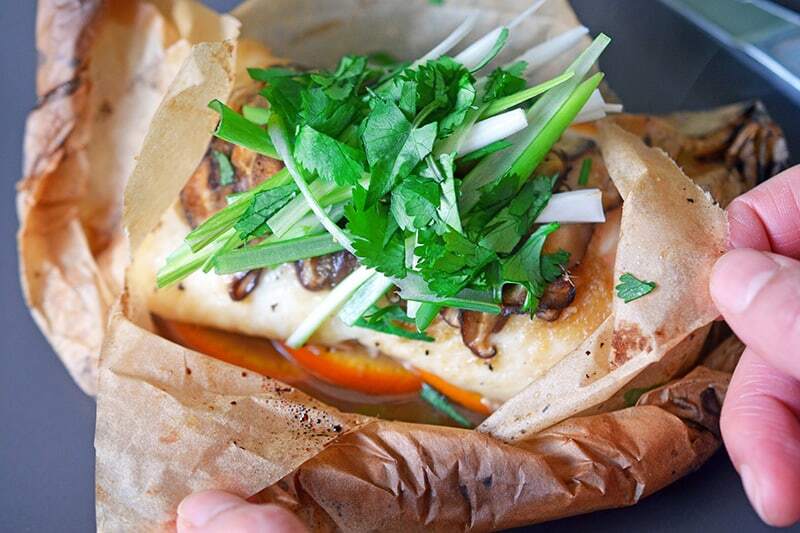 Get the recipe for Fish en Papillote with Citrus, Ginger, & Shiitake here! Previous Post: « Whole30 Day 24: Winner Winner Chicken Dinners!